Enjoy the Beauty of Israel All Year Long! Take a trip to Israel each month with our beautiful Israel in Focus calendar. 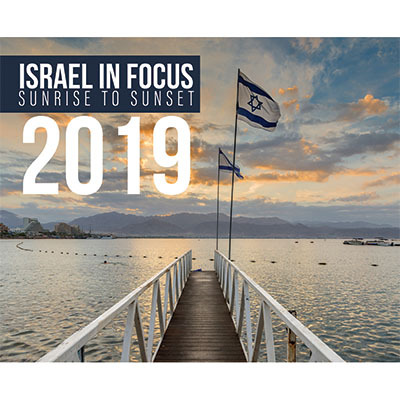 New this year, enjoy 12 months of Israeli sunrises and sunsets. Calendars include Jewish holidays and are also available in Canadian and Australian versions.